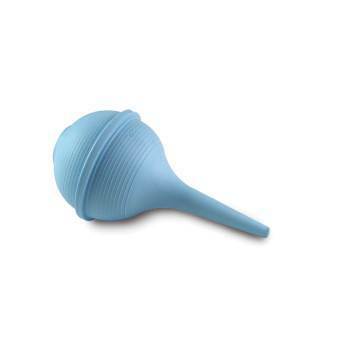 Ear-Ulcer Bulb Syringe, 3 oz. Soft pliable material makes these syringes safe and easy to use. Whether irrigating or suctioning, the smooth tapered tip facilitates fluid administration/retrieval and reduces trauma. Ribbed bulb provides a non-slip grip.